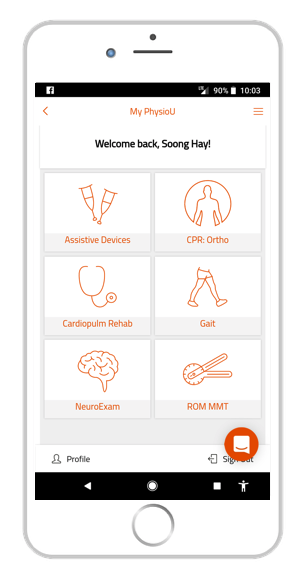 PhysioU: Complete Rehab Guide is finally available on mobile app stores! 1. Can we use these apps on laptop and mobile devices? 2. Is there a way to not use up my device’s memory because of all those great videos? 3. Can we have all the apps in 1 simple SUPER app? The PhysioU team has been working tirelessly to build new apps and figure out new ways to serve the Physical Therapy community. All web-access users now have a single PhysioU app that they can download from the iTunes store and the Google Play store. All the PhysioU 5 star-rated apps are combined into 1 app that streams on your device and requires no memory usage! Download the new PhysioU: Complete Rehab Guide today and unlock your free trial or access all the web-based app content that you have purchased, now as an app on your mobile device!